When I didn't get along with the Origins GinZing Refreshing Eye Cream, I made a trip to Mecca Cosmetica to pick up an eye cream that I knew I could rely on, the Kiehl's Creamy Eye Treatment with Avocado. It's not the first time I've used this product, having finished a pot previously, so I knew I wouldn't be disappointed! It's that time again. February is over and March is pretty much the same and, like always, I feel like I've managed to finish a hell of a lot of 'stuff'. Over the past two months I finished up a good selection of hair, skin and make up products and I'll let you know what I think of them! If there's anything red on the shower products, please do not be alarmed. It's red hair dye or colour depositing shampoo and/or conditioner. I didn't finish all the Bumble & Bumble Sunday Shampoo over the two months, I promise you. I've been using those two bottles since November/December. 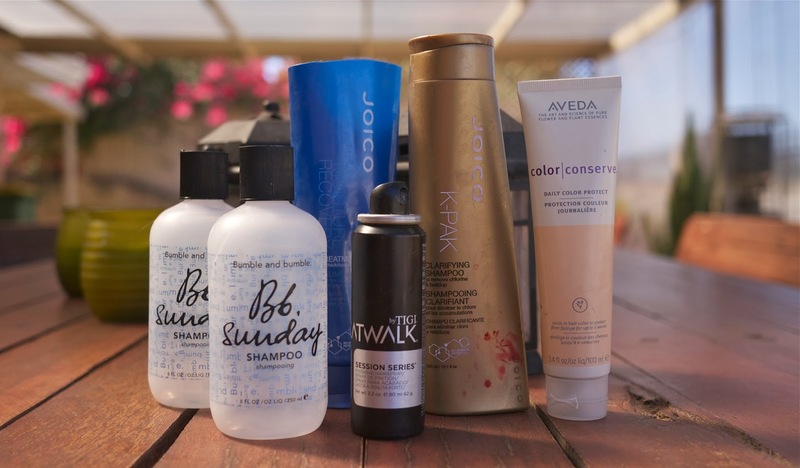 Before that I bought the Joico K-Pak Clarifying Shampoo as I loved their Joico Moisture Recovery Treatment Balm so much (another empty) but it was just disappointing! The mini hairspray blocked up and I didn't really like it anyway so I don't miss it. I do, however, miss Aveda's Color Conserve Daily Color Protect. It's such a lovely leave in product. Clean on Me was an absolutely beautiful body wash to use. I love the scent of Soap & Glory products, it lathered nicely and, as far as I could tell, it got me pretty clean. Snow Fairy is a nice scent, sure, but I actually find it a bit too sweet. Aesop's Control Gel was pretty nice and fairly effective but I'm still deciding whether or not I'll repurchase it. 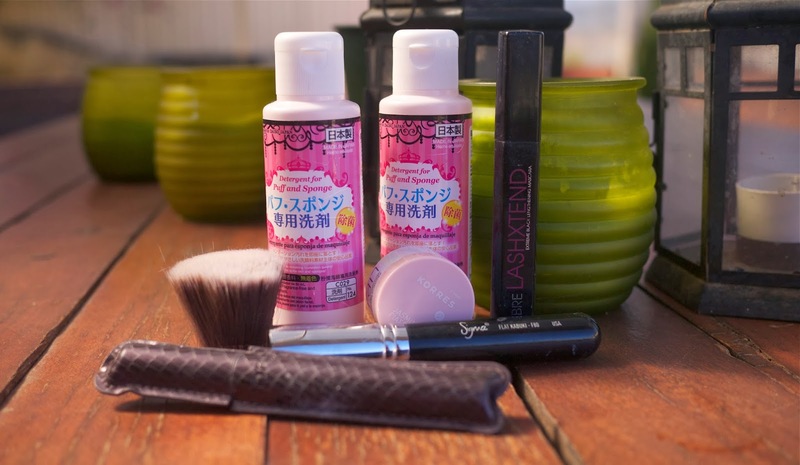 The Daiso Detergent for Puff and Sponge is quite easily my favourite brush cleanser, as you can see here. There's so much controversy surrounding ModelCo and, sure, I've been disappointed by a lot of their products but I actually enjoyed their Fibre Lash Extend Mascara. I mentioned in this post that my Sigma F80 Flat Top Kabuki brush fell apart so it went in the bin. For some reason I didn't write a review of the Tarte Lights, Camera, Lashes Mascara but, let me tell you, it's worth the hype! These are all products that I'm throwing out as I never use them or they're far too old. The Color Veil is a product that was my sisters and I haven't used it once since she gave it to me far too long ago. I picked up Hoola from eBay years ago and it's a fake so it needs to go. Five or six years ago the BYS Eyeshadow 5 Piece in Greys & Black was my go to smokey eye palette but now I have so many different shadows that I reach for. So, that's what I finished up over the past two/three months. I used up some new products, as well as some old favourites, and I'm so glad I finally threw out some products I had not used in a long time. 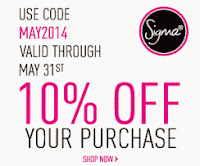 From now on I'll be uploading these posts every two months, meaning there shouldn't be too many products in them. We'll see but. What have you finished recently? 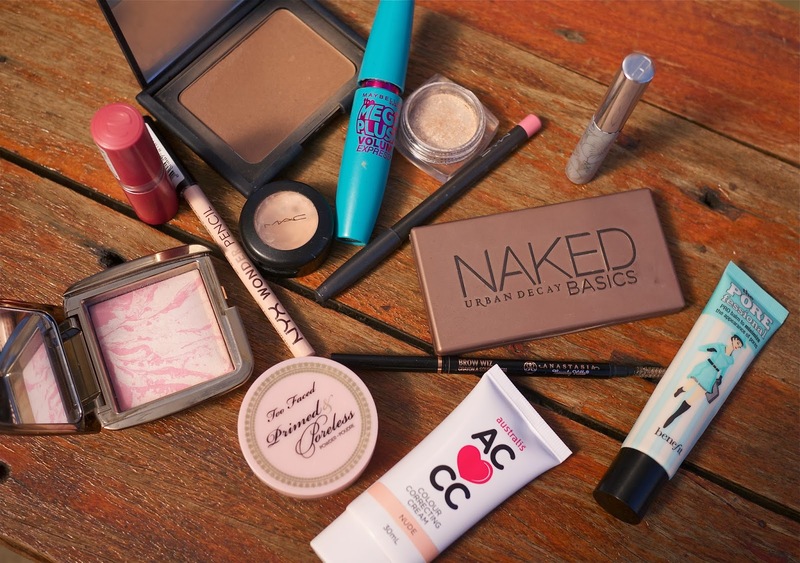 Have you tried any other products in this post? When I met with the General Manager of Cosmetiques de France, a Melbourne based company distributing dermocosmétiques from France, one of the main products he raved about was the Nuxe Reve de Miel Ultra-Nourishing Lip Balm*. I was so interested in hearing about this product (I'm a sucker for a nourishing lip balm) so they were kind enough to send it to me recently. I have been using the Nuxe Reve de Miel Ultra-Nourishing Lip Balm* every day for the past few weeks and now I'm here to tell you what I think! In the past week or so of February I did my fair share of online shopping, as you may have noticed from my past two hauls (here and here). On top of all those beauty bits that I've picked up recently, I've also acquired so many new make up brushes. Make up brushes are one of my favourite things to collect and play around with and I can't believe how many new gems I've discovered lately! 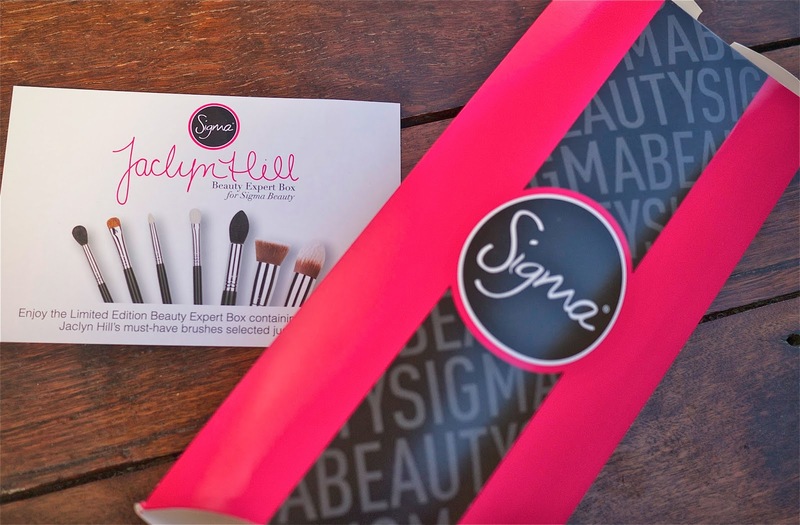 I'd been looking at the Sigma website for quite some time, not really knowing what kit I wanted to pick up, when they released the Jaclyn Hill Expert Beauty Box. Now I'm not a fan of Jacyln Hill (I'm not 'not' a fan, I don't think I've ever watched one of her videos) but I love the selection of brushes featured. The kit contained 7 brushes for $90.00 and I think that's a pretty good deal. The kit comes with a F80 Flat Kabuki, F86 Tapered Kabuki, F35 Tapered Highlighter, E55 Eye Shading, E25 Blending, E40 Tapered Blending and an E30 Pencil. If you've been following Born to Buy lately you will probably know that I've been switching up my skincare. I've done a couple of hauls (here and here) lately featuring the new products I've picked up and now I'm putting them all to the test. 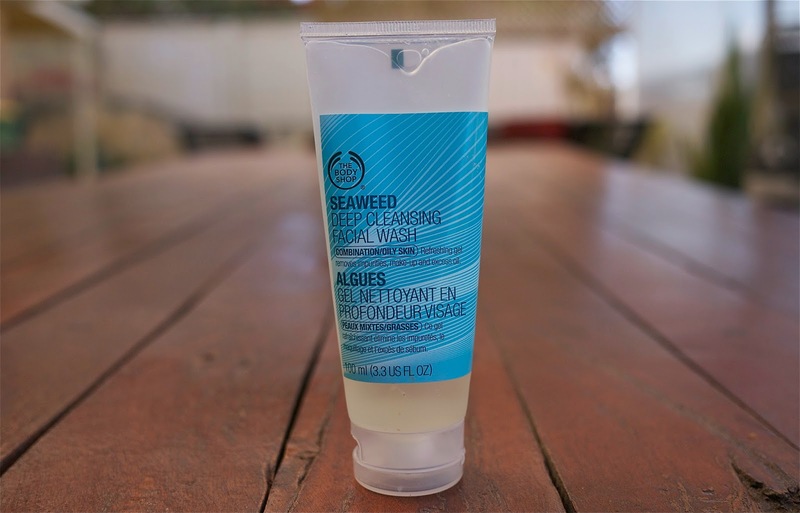 I recently picked up the The Body Shop's Aloe Gentle Facial Wash and, while I wasn't a fan of that, I have been really liking their Seaweed Deep Cleansing Facial Wash. I've been planning a giveaway for quite a while now, slowly accumulating the items I want to give. When I recently placed my US order to buy the MAC products I'll be giving, I had to add a few (borderline a lot of) items to the cart for me, of course. I was just making it 'worth it', okay?! 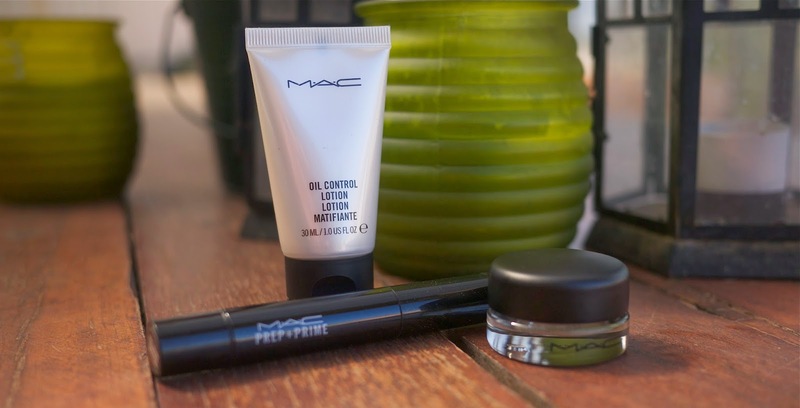 MAC's Oil Control Lotion got a pretty good review from Paul Begoun so I decided to grab the mini size. I'm hoping that it does a good job of controlling oil. MAC's Prep + Prime Highlighters in Radiant Rose is one my favourite highlighter for under the eye so I wanted to grab a back up as it was substantially cheaper than it is here in Aus! I also picked up a Paint Pot in Painterly to use as a primer on my lids. It's one of those products that everyone and their Mum seems to have it so I decided I need to get on that bandwagon! Felt tipped liquid eyeliners are definitely my favourite type of liquid eyeliner. They're so easy to apply, convenient to use and comfortable to work with. My favourite for quite some time has been the Maybelline Master Precise but I recently found Essence's Stays No Matter What Waterproof Eyeliner Pen* rolling around in my drawer and I decided to give it a shot. Illamasqua is one of those make up brands that I've always lusted after. Their products are always raved about in the beauty world and seeing so many successful YouTubers (Pixiwoo, I'm looking at you) use their products on such a regular basis does nothing to appease my desire. 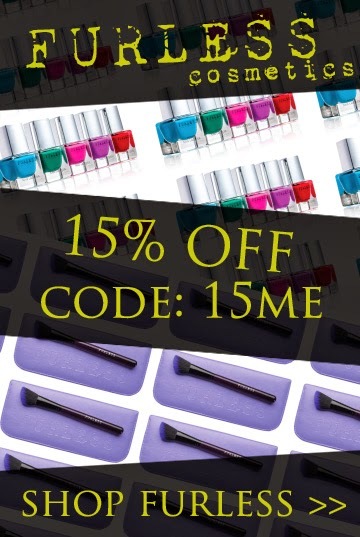 Sure, I have a few pieces from their line but, given that there's no counter in Western Australia, I don't have much and there are so many products I want to try. I recently placed a fairly substantial order through their website and today I'm here to show you all the goodies I picked up! For anyone who thinks I've broken No Make Up Buying March, please rest assured knowing that everything was bought pre March 1! The Matte Primer really appealed to me. I have combination/oily skin and I'm really looking forward to seeing how this goes at controlling shine! I have two powder blushes from Illamasqua already and I really love them so, naturally, I had to pick up a new one. I grabbed Tremble this time, a lovely cool toned peachy pink. Finally for the face I grabbed Illamasqua's Gleam, a cream highlighter, in Aurora. It's a beautiful champagne colour and I absolutely love that name! 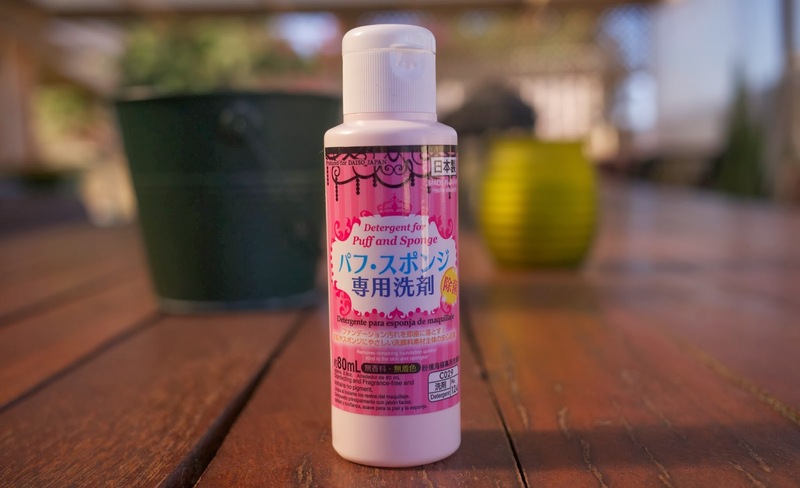 I love my moisturising and hydrating shampoos, don't get me wrong, but I use so many hydrating and nourishing products that occasionally I feel like I need something that gives a bit more of a deep clean. 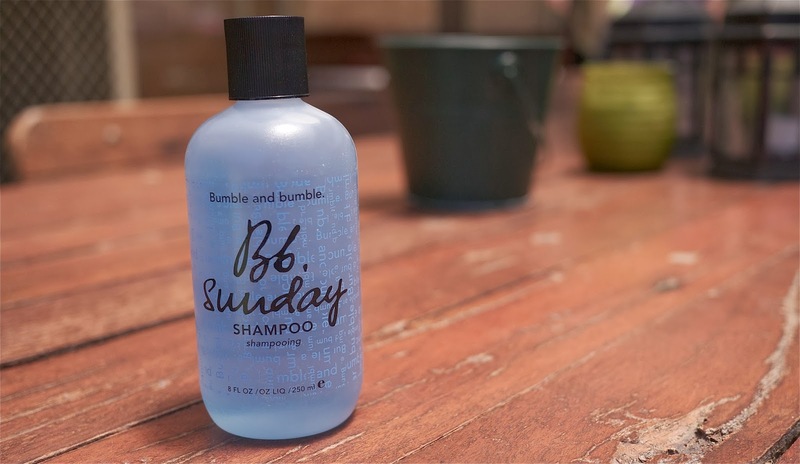 I tried a few clarifying shampoos in the past that were just 'okay' so when I heard great things about about Bumble and Bumble's Sunday Shampoo I decided to splurge. Last weekend I was getting ready to have a play with a few products before doing absolutely nothing so, of course, I thought it'd be a good idea to turn it into a Face of the Day post. This is the first time I'd picked up some of the products in quite some time so you might want to expect some new reviews coming your way next month. I've said it before and I'll say it again, face wipes freak me out. I like the concept of them, especially as a first cleanse, however it freaks me out when people say they use them as their only cleanse. Really? 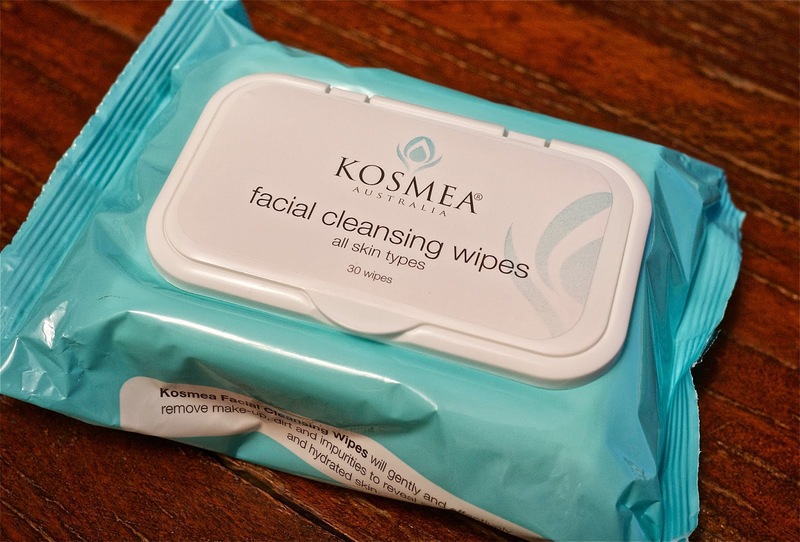 All this aside, I was excited to give the Kosmea Facial Cleansing Wipes* a try because I've been such a huge fan of other products from their skincare line so I really wanted to see how these would compare. 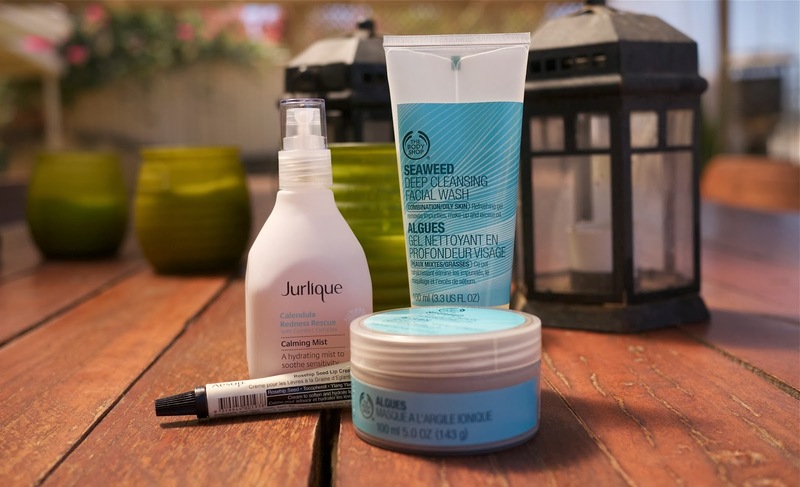 As I have mentioned a few times lately, I am trying to give my skincare routine an overhaul and replace some of the products I use with ones that are more suited to my skin concerns and skin type. 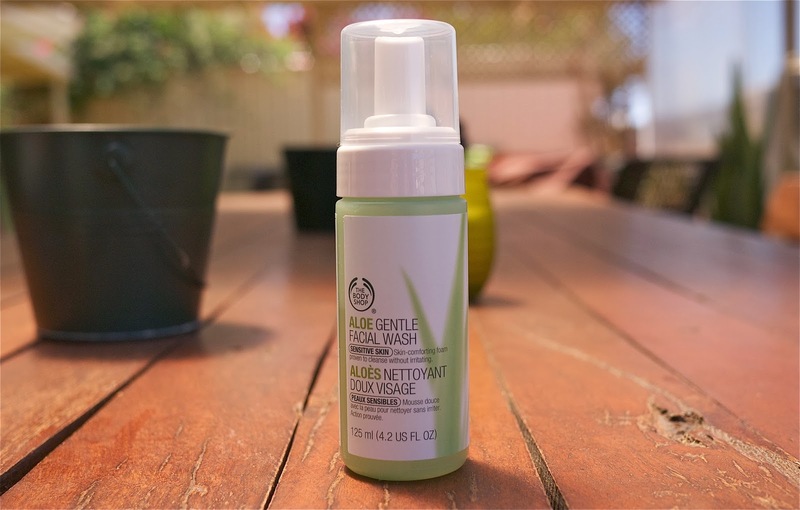 Paula Begoun's Beautypedia is, along with Caroline Hiron's blog, my go-to guide for any product that I'm thinking of picking up and, when I saw that she highly recommends The Body Shop's Aloe Gentle Facial Wash, I decided to pick it up. I used to think blushes were really overrated. I'd use whatever was closest and that'd be that. 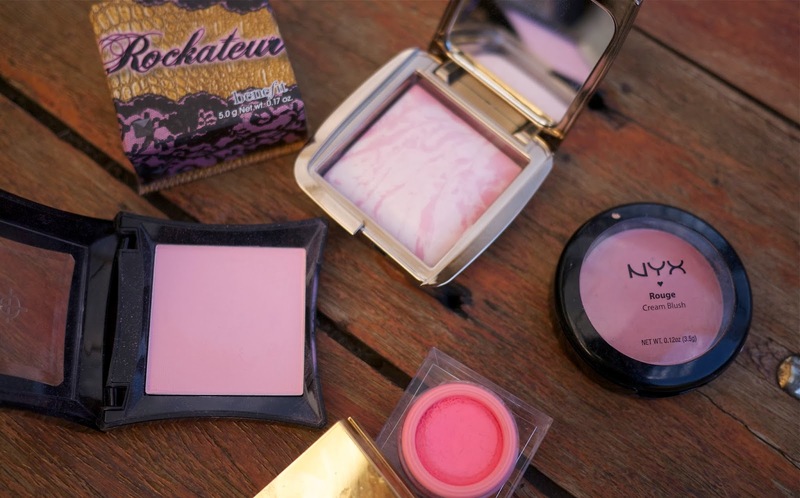 Over the past six months to a year, however, I've become quite smitten with blushes and their ability to completely transform a make up look and, more than that brighten up the face. I have doubled, if not tripled, my blush collection in the past 12 months or so too, meaning that I always have a few to choose from. In saying that though, there are five blushes that I tend to keep going back to and today I'm here to talk to you about them! 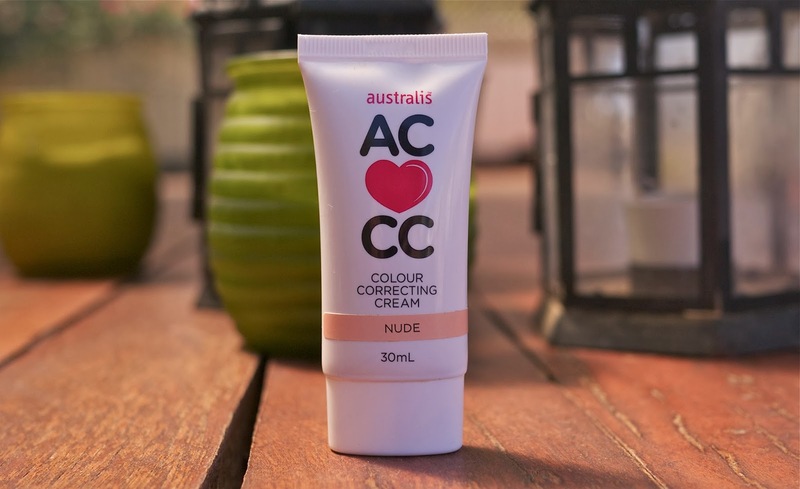 The Australis CC Colour Correcting Cream* has been sitting in my bases drawer for such a long time and, for some reason, I've never really pulled it out. I think I always just assumed the colouring was all wrong for me. Recently, however, I was looking for a change, dug this bad boy out and, to my surprise, the colour is pretty damn good. Needless to say, I've been experimenting with it ever since. About two weeks ago I hosted my Chapstick MixStix giveaway and I'm here today to announce the four winners of a Chapstick MixStix in Lemon Berry Sorbet. As always, I want to thank you all for entering! I make no secret of my love for Essence Trend Editions. I'm a big fan of the brand in general but there's something about a limited edition collection, especially when it's as affordable as Essence's are, that makes me go crazy. 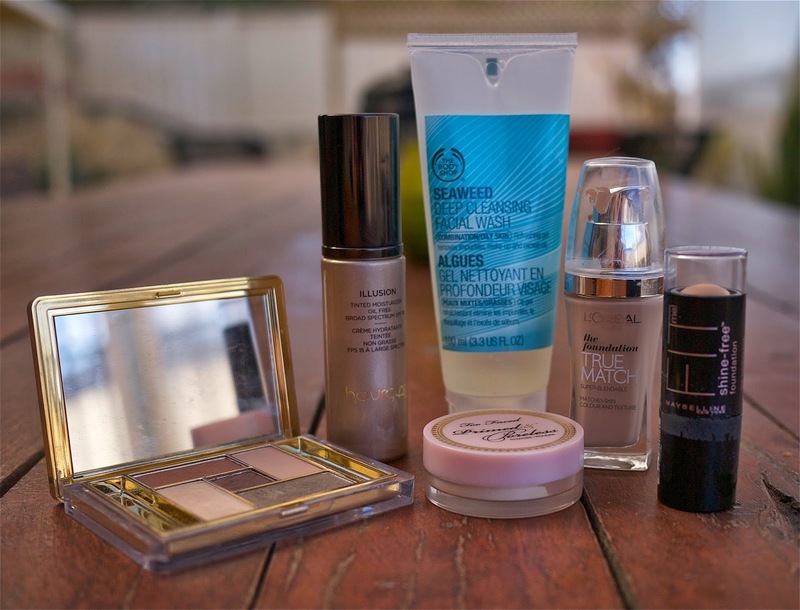 When the Essence Metal Glam Trend Edition arrived on my doorstep I was, once again, super impressed with everything. With shades of gold, silver, bronze, purple, green and more (all metallic, may I add? ), the autumn inspired Essence Metal Glam Trend Edition will add a level of glamour and sophistication to any look! As you can see, there are five nail polishes in total in the Essence Metal Glam Trend Edition. The Metal Glam Gold Topper in #01 Steel-ing the Scene* has golden flakes submerged in clear nail polish. There's a high volume of flakes too, meaning that you don't need to do a million coats for it to be noticeable. There are also four nail polishes with a metallic/chrome finish to them; #01 Steel-ing the Scene*, #02 Petal to the Metal*, #03 Glamour Girls* and #04 Gold Digger*. Messy, beach waves is one of my favourite ways to style my hair. My hair has a lot of natural texture to it so it's easy to do, lasts a few days and can be dressed up or down. I am always battling to find a hair spray with enough hold to ensure that everything stays were it should, but light enough to ensure that it doesn't all drop throughout the day. 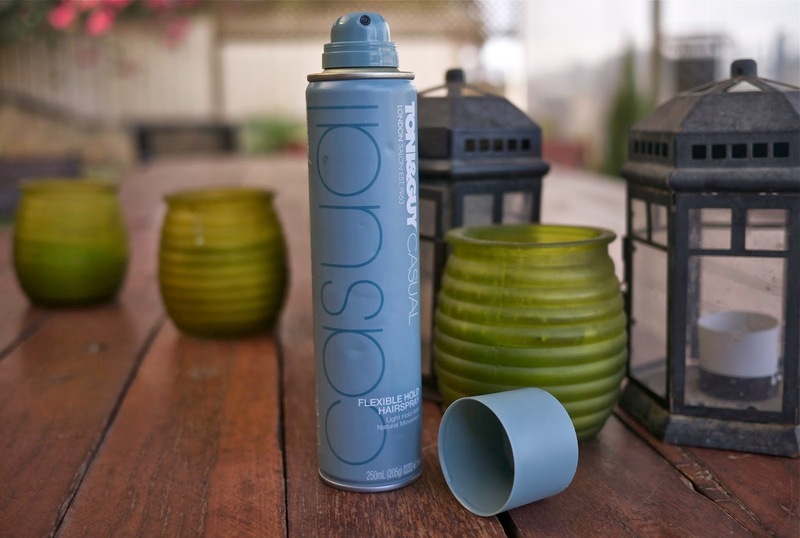 When the Toni & Guy Casual Flexible Hold Hairspray* arrived on my doorstep, I couldn't help but think that it might be the answer to my hairspray prayers. Yesterday I was tagged by Sarah from More than Adored to do to the Blogger Love Tag. I really love tags as I feel they're a great way for readers to get to know bloggers a little better, however finding ones that aren't repetitive and/or redundant can be quite difficult. 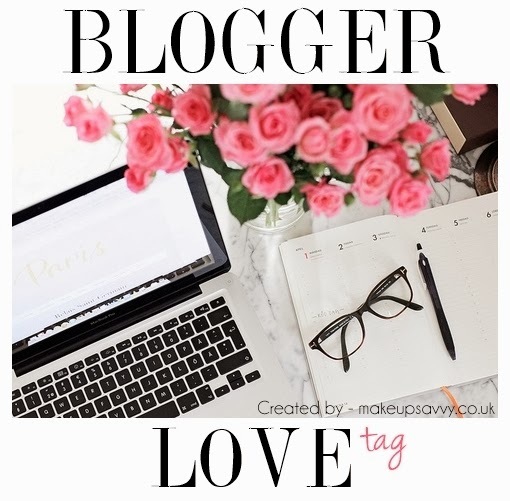 I love the idea behind the Blogger Love Tag as I feel it'll be an opportunity to share some of my favourite bloggers and blog reads so let's get into it! 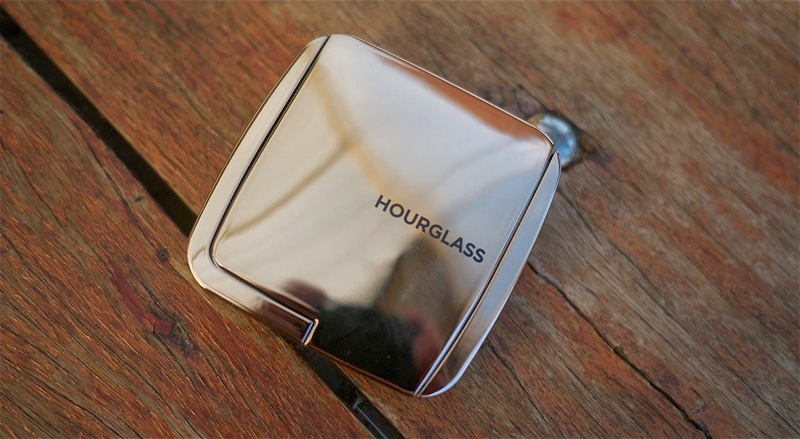 With many of their products being so highly reviewed, Hourglass has been a buzz word in the beauty community lately. Their Ambient Lighting Powders were, without a doubt, one of the most highly reviewed products of 2013 and every man and their dog seemed to love them. I don't actually get along with the Ambient Lighting Powder I own, however I'm holding out judgement until the weather cools down and my face isn't as much of an oil slick. 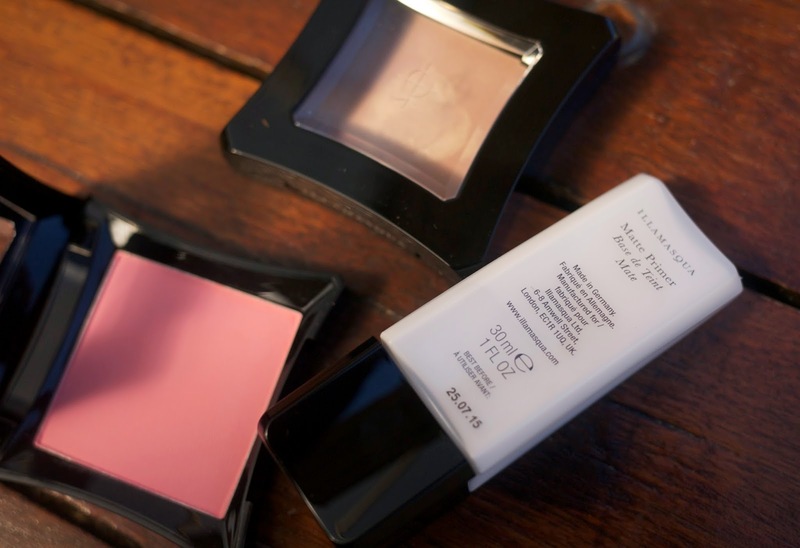 When Hourglass released their Ambient Lighting Blushes at the end of 2013, I must admit that I was pretty intrigued. They looked absolutely beautiful but I was a little apprehensive to pick one up. 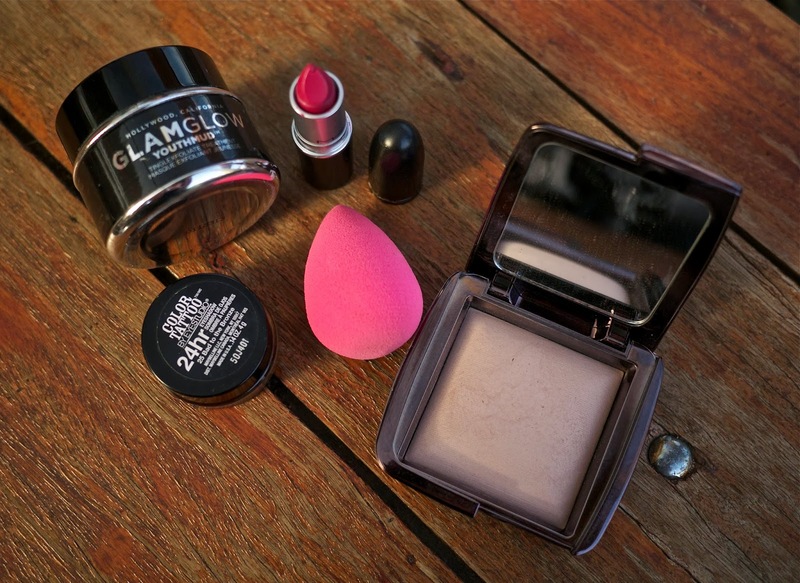 I wasn't getting along with their all over face powders so how would I like their blush? Regardless, I had a play with all six shades during a recent trip to Mecca Cosmetica and I couldn't pass up Ethereal Glow. To see what I think of the Hourglass Ambient Lighting Blush in Ethereal Glow, keep reading! Oops, I did it again. As if this collective skincare haul wasn't enough, I've been out and bought a few more skincare bits. I'm trying to find my favourite combination of products and I honestly don't believe I'll stop buying until I do (Born to Buy is so fitting right about now) until I do! This is another collective skincare haul, with the items being picked up over two, maybe three, different shopping trips. I've had them for a little while now and I've pretty much formed opinions on them all so stay tuned for reviews! It's not often that a hair collection appeals to me. I'm pretty much a hair elastic and bobby pin kind of gal, throwing in a hair cuff or cute lace bow on the very odd occasion. When all that is said and done, however, I'm not opposed to a beautiful collection and Lady Jayne's Digital Romance* collection is no exception. The Lady Jayne Digital Romance* collection features a selection of hair accessories (nine in total) with metallic hardware and beautiful pastel detailing. Every piece is a great way to add a feminine touch to a hair style and, now that these pieces are photographed, I can't wait to play around! 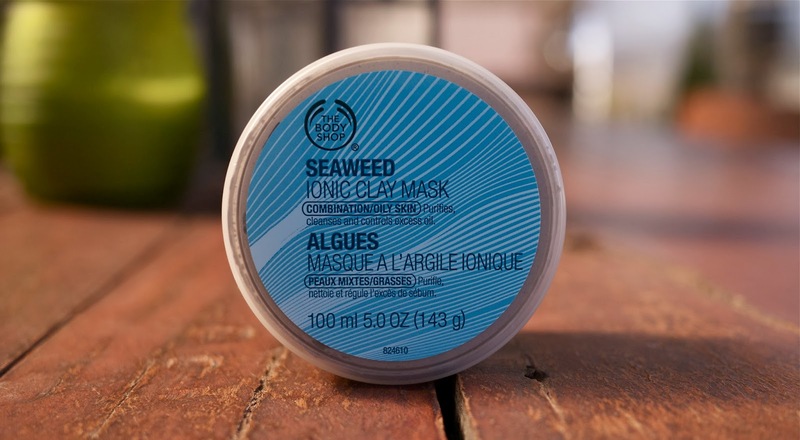 With the recent success of another product from The Body Shop's Seaweed range (review coming soon), I picked up Seaweed Ionic Clay Mask on a whim. Marketed as 'a deep-cleansing mask treatment with algae extracts and combined natural ionic clay action to draw impurities from the pore and absorb excess oil', I was intrigued by this mask and, after the sales assistant talked it up, I quickly picked it up and went on my merry way. Unfortunately my skin didn't agree with this mask and, only four days after purchasing it, I returned it. About three weeks ago I uploaded my first post in my Best of Brushes series (read all about my favourite base and cheek brushes here and here) and today I'm here to tell you about Part 3 in the series, my favourite eye brushes. Before I get into my favourite eye brushes (we're talking lid, blending, detail and liner), I just want to make a few things clear. Some of the brushes in my collection are expensive, some are ridiculously cheap. I don't believe in judging the effectiveness of a brush by the price which is why you'll find such a diverse range in my collection. Please also also note that what works well for me might not work well for you. Unfortunately brushes aren't one-size-fits-all. With all that said, let's get into it! It's no secret that I was a big fan of Katy Perry's Killer Queen perfume so I was more than excited when her newest Killer Queen instalment, Oh So Sheer*, arrived at my door. 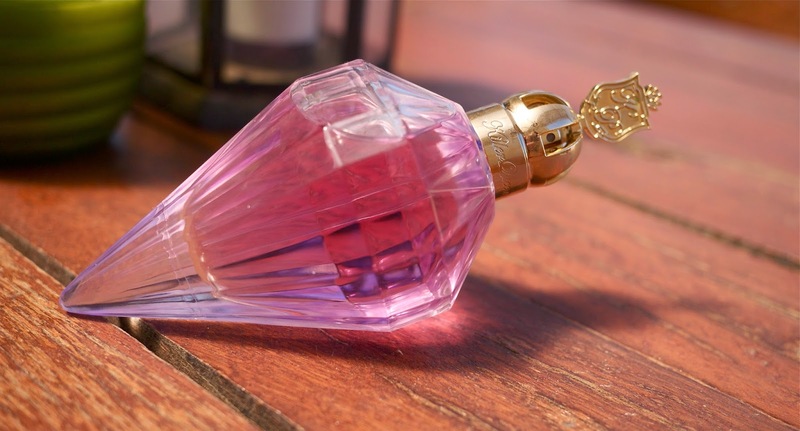 Looking much like Killer Queen, Killer Queen Oh So Sheer* has the same unique perfume bottle inspired but a Queen's sceptre, though this time in purple to reflect the floral, more delicate tones of this fragrance. Keep reading to see what I think of Katy Perry's Killer Queen Oh So Sheer*. It has become quite apparent to me that I have far too much make up. Far too much. For the month of March I'm going to try to make a dent in my collection, even if that means only finishing up one product. To make a dent in my rapidly growing collection I have decided that for a month (at least), the month of March, I'm not going to buy any make up. At all. I know, it's going to be hard. I've already placed a few orders (some of which were to buy bits for you guys, actually) so I might have a few hauls to upload but note that the products were bought within the month of February. I'm also trying to get back into daily blogging so if you have requests for reviews, product comparison or, well, anything else, please let me know. 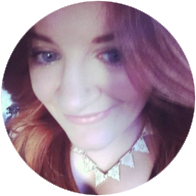 I really love writing posts that have been requested as I know you want to read 'em! What's your favourite way to save money? Do you have any tips?